Just because you work there doesn’t mean your office space has to be a bore! Here are a few ideas for ways you can mix it up. 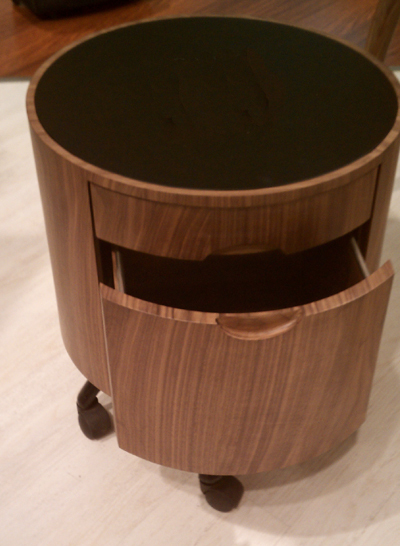 We love the unique look of this Spider Desk and round filing drawer unit for it’s organic sensibility. 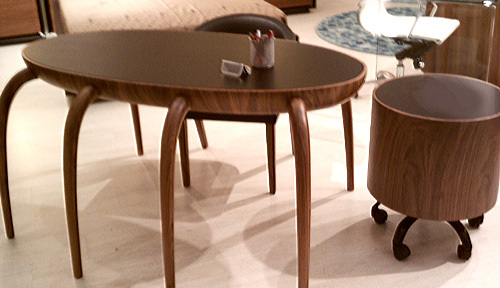 It’s a refreshing change from the square, boxy shapes seen in so much office furniture. This design is also features a sleek, black glass top. 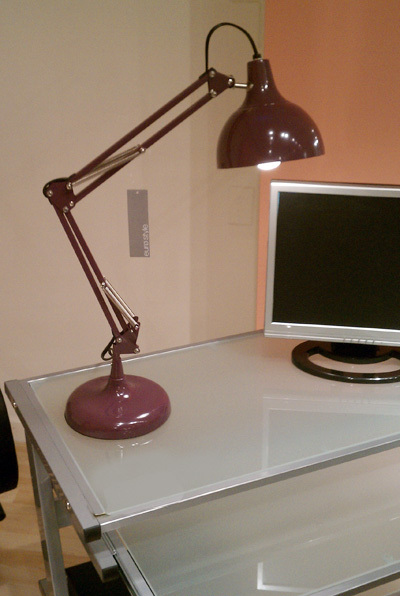 Glass is a great choice for desk surfaces since it’s easily cleaned with glass cleaner and never scratches. This set can stand up to scratches from even the toughest paper clips. How many wooden desks can boast about that? Also remember to carefully consider your office lighting. Look for designs that provide plenty of even task lighting so you can work efficiently. Pieces like this traditional lamp fit the bill, and can bring a pop of fresh color to your space. If you’re looking for overhead lighting, these round, modern fixtures bring a modern look to any office. 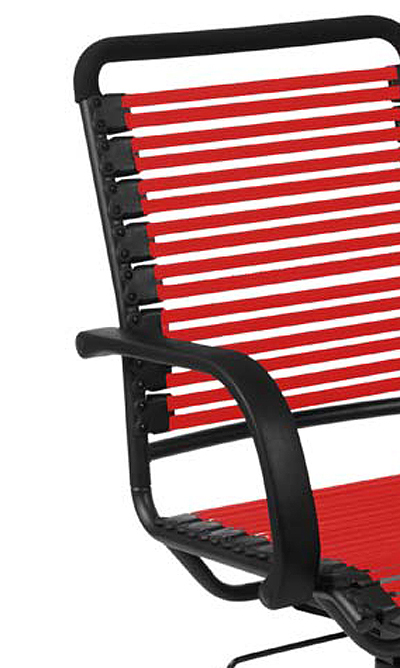 For the ultimate in mixing work and play, take a look at these bungee cord chairs. 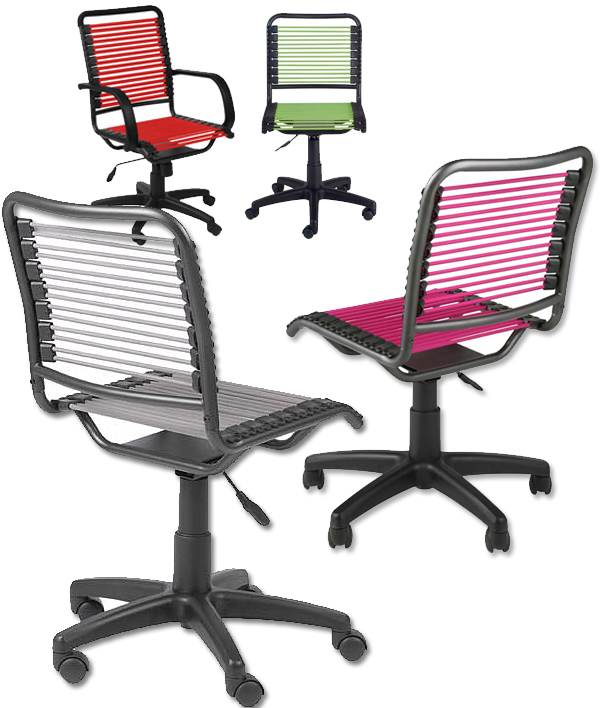 As surprising as it may seem, these bungee cord office chairs are actually comfortable! The cords are super strong and conform to the shape of your body for ideal lumbar support. Perfect for a long day at the keys!